The Internet of Things (IoT) has achieved celebrity status today. This is because, when unleashed, data generated from the ‘things’ can afford new insights for business, engineering, and scientific enterprises. 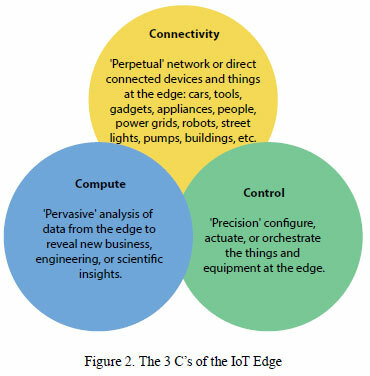 IoT edge has gained particular interest in this context, and the best way to think of the edge is a place such as a manufacturing floor, a building, a campus, a city, your house, a crop field, a power plant, an oil rig, a sports arena, in your car, or under the sea. 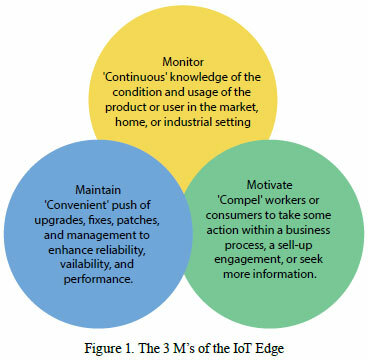 The edge is where the action is taking place, and where the “things” are (the “T” in the IoT). Things can be smart devices, thermostats, pumps, valves, turbines, automobiles, robotic arms, the weather, plants, animals, people, buildings, tractors, planes, trains, and home appliances. For example, if you consider yourself a thing, you have valuable information within your body. That is, you have a level of body heat (temperature), blood flow (pressure, velocity), eye and skin coloring (light), and a beating heart (sound). This temperature, pressure, light, and sound data provide keen insight into your health status. Metaphorically, similar data is embedded in other industrial, scientific, and consumer things, providing valuable insights. In the context of an end-to-end IoT solution, a simple characterization of the edge is that it’s not the data center—nor is it cloud (and a cloud is just a data center that nobody is supposed to know where it is). In addition to things, the edge houses sensors and equipment, which acquire and digitize data from the things, so it can be processed, and things can be controlled. Monitoring products and customers accords deep insight into their behaviours and interactions. This in turn helps to design future products better or adjust target customer demographics. Examples include real time understanding of why or why not a home appliance is used by a particular customer base in a specific location, during the off season. In addition, monitoring machinery on a farm gives insight into failure modes, which allow more efficient and preventative maintenance. Maintaining products remotely, such as software upgrades or calibration of equipments or mechanical devices, can lower service and warranty costs and increase customer satisfaction. 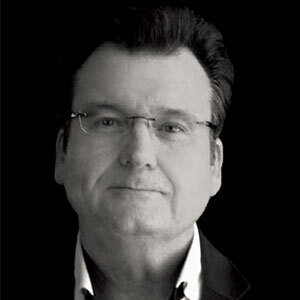 Motivating people to take some action, such as adjusting inventory or responding to sell-up ads, can be facilitated via the connected understanding of the customer base or the product’s efficacy and status. Also, advertising new or extended offerings can take place in a more targeted manner, such as through the medium of the smart phone, smart watch, or other connected devices. One way the ‘perpetual connectivity’ of IoT is enabled is by ubiquitous low cost and low power network technologies. Another way is the direct wired sensor connections in high speed industrial data acquisition systems. It begs the question, what can’t we connect in the future? This in turn promotes new sources and larger quantities of data. More the data is, the more statistically significant is the system, and thus a higher probability of conclusions and predictions being correct. If you like big data, you’ll love the IoT edge. The data from the sources at the IoT edge is older, faster, and bigger than all other types of big data. ‘Pervasive computing’ from the sensors, to the data acquisition equipment, to the edge via edge IOT, all supplement or even replaces computing in cloud data centres. Many times the need for real time response prevents all the data from going to the cloud. Edge computing affords lower latency, less bandwidth costs and usage, higher faster time-to-action. The computed insights from connected things can be used for ‘precision control’ of business processes and other edge activity. Things can then be actuated, orchestrated, or reconfigured in real time to respond to business conditions, operations, and scientific endeavours. The 3 C’s are the underlying substrate needed to promote the business, engineering, or scientific benefits of the 3 M’s. It’s exciting to see enterprises deploying IoT solutions in many industries. New products and services are emerging, as well as new applications for existing technologies. A new world is here, characterized by perpetual connectivity, pervasive computing, and precision control. There’s a lot we know, but there’s much more to learn about the intelligent edge and the IoT.